Producing Artistic Director Gwendolyn Whiteside and American Blues Theater, Chicago’s second oldest Equity ensemble, are proud to announce the Chicago premiere of Yankee Tavern, by Steven Deitz and directed by Joanie Schultz, February 20 – March 22, 2015 at the Greenhouse Theater Center, 2257 N. Lincoln Ave. “Pink Previews”, where tickets sales benefit the Lynn Sage Foundation for breast cancer research, are Friday, Feb. 20 and Saturday, Feb. 21 at 7:30 p.m. and Sunday, Feb. 22 at 2:30 p.m. Opening night is Thursday, Feb. 26 at 7 p.m. The performance schedule isThursday – Saturday at 7:30 p.m. and Sunday at 2:30 p.m. with additional performances Saturday, March 14 and Saturday, March 21 at 3:30 p.m. Tickets for “Pink Preview” performances are $19. Regular run performances tickets are $29 Thursdays and Fridays and $39 Saturdays and Sundays. Opening night tickets are $49 and include access to the post-show reception. All tickets are currently on sale at 773.404.7336 or AmericanBluesTheater.com. This spring American Blues Theater is proud to present this dramatic and conspiracy-laden thriller for the first time to Chicago audiences. Since its debut in 2008, Yankee Tavern has met with rave reviews from critics and theatergoers across the nation including The New York Times calling Yankee Tavern “Intriguing and absorbing!” and the Daily News says it is “One helluva show by a superb playwright who has slyly fashioned an edge-of-your-seat thriller.” The jukebox inside the Yankee Tavern stopped in the middle of “Bye, bye, Miss American Pie” as the first hijacked plane impacted the north tower of the World Trade Center on September 11. Inside the walls of this crumbling New York tavern, a young couple (Ian Paul Custer* and Darci Nalepa) finds themselves caught up in conversations of what happened that day and who is telling the truth. Dietz’s acclaimed and dramatic thriller is a fierce, funny and ultimately mind-bending work of theatrical power that grips the audience until the final word. Yankee Tavern Steve Key* as “Palmer;” and Richard Cotovsky as “Ray.” The production team includes American Blues Ensemble members and Artistic Affiliates Grant Sabin (scenic); Christopher Neville (properties); Arianna Soloway (dramaturg); Sarah Burnham (production manager) with guest artists Brandon Wardell (lights); Izumi Inaba (costumes); Rick Sims (sound); Michael Trudeau (technical director) and Kathryn Lochert (stage manager). American Blues Theater offers a free opportunity for audiences and fans of the theater to learn more about the current presentation. All Town Halls are held immediately following that Sunday’s 2:30 p.m.performance, February 22 – March 15. American Blues Theater is proud to continue “Pink Previews” for this production. Proceeds from preview performances are donated to the Lynn Sage Foundation for breast cancer research. They also partner with Architects and Engineers for 9/11 Truth and the Fraternal Order of Police Chicago Lodge 7. In 2010, Steven Dietz was once again named one of the most produced playwrights in America, placing eighth on the list of the Top Ten Most Produced Playwrights in America, tied with Tennessee Williams and Edward Albee for number of productions. He was recently awarded the 2011-2012 Ingram New Works Fellowship by the Tennessee Repertory Theatre. Dietz is the recipient of the PEN U.S.A. Award in Drama (for Lonely Planet); the Kennedy Center Fund for New American Plays Award (Fiction and Still Life With Iris); the Lila Wallace/Reader’s Digest Award (The Rememberer); the Yomiuri Shinbun Award for his adaptation of Shusaku Endo’s Silence; and the 2007 Edgar Allan Poe Award for Best Mystery for his adaptation of William Gillette’s and Arthur Conan Doyle’s 1899 play Sherlock Holmes: The Final Adventure. He is also a two-time finalist for the American Theatre Critics Association’s prestigious Steinberg New Play Award (for Last of the Boys and Becky’s New Car). Joanie Schultz is a Chicago-based freelance director, assistant director and directing teacher. She previously directed the workshop production of Ask Aunt Susan in the Goodman’s 2011 New Stages series, the Chicago premiere of The Whale at Victory Gardens Theater, Neighborhood 3 at Strawdog Theatre Company, Amadeus at Oak Park Festival Theatre and Luther at Steep Theatre Company, where she is an artistic associate and previously directed The Receptionist, A Brief History of Helen of Troy and the Jeff Award–winning In Arabia We’d All Be Kings. Recent Chicago credits include the world premiere of fml: How Carson McCullers Saved My Life by Sarah Gubbins at Steppenwolf for Young Adults; The Girl in the Yellow Dress by Craig Higginson at Next Theatre Company; the Jeff-nominated production of The Kid Thing by Sarah Gubbins, a co-production with About Face Theatre and Chicago Dramatists; The Metal Children at Next Theatre Company; Wreckage and Many Loves at Caffeine Theatre; Shining City at Redtwist Theatre; The Ring Cycle at the Building Stage; and A Perfect Wedding and Stone Cold Dead Serious at Circle Theatre. Her opera credits include Acis and Galateaat the Chicago Cultural Center, which was the first fully staged opera in the Pritzker Pavilion in Millennium Park; Suor Angelica at The Italian Operatic Experience in Tuscany and Carmen at the Bay View Music Festival. Ms. Schultz holds an MFA in directing from Northwestern University; was a New York Drama League Fellow; the Goodman’s Michael Maggio Directing Fellow; the SDC Denham Fellow; was a participant in the Lincoln Center Theater Directors Lab; and currently teaches directing at Columbia College Chicago. She is also the 2013 co-artistic curator for Theatre on the Lake, Chicago Park District’s summer theater showcase. The multi-generational and interdisciplined artists have established the second-oldest professional Equity Ensemble theater in Chicago. The 39-member Ensemble has 539 combined years of collaboration on stage. As of 2014, they’ve individually received nearly 150 Joseph Jefferson Awards and nominations that celebrate excellence in Chicago theater including the 2014 Jeff Awards for Production-Musical-Midsize, Hank Williams: Lost Highway; Actor in a Principal Role – Musical, Matthew Brumlow, Hank Williams: Lost Highway; Solo Performance, Gwendolyn Whiteside, Grounded; Music Direction, Malcolm Ruhl, Hank Williams: Lost Highway and Sound Design, Lindsay Jones, Grounded and over 22 Black Theatre Alliance Awards. The artists are honored with Pulitzer Prize nominations, Academy Awards, Golden Globe Awards, Emmy Awards and numerous other accolades. Yankee Tavern, by Steven Dietz and directed by Joanie Schultz, February 20 – March 22 at the Greenhouse Theater Center, 2257 N. Lincoln Ave. “Pink Previews”, where tickets sales benefit the Lynn Sage Foundation for breast cancer research, are Friday, February 20, Saturday, February 21 at 7:30 p.m., and Sunday, February 22 at 2:30 p.m. Opening night is Thursday, February 26 at 7 p.m. Tickets are $29 Thursdays- Fridays and $39 Saturdays and Sundays. The performance schedule is Wednesday – Saturday at 7:30 p.m. and Sunday at 2:30 p.m. with additional performances Saturday, March 14 andSaturday, March 21 at 3:30pm. Tickets for Pink Preview performances are $19. Opening night tickets are $49. All tickets are currently on sale at 773.404.7336 or AmericanBluesTheater.com. 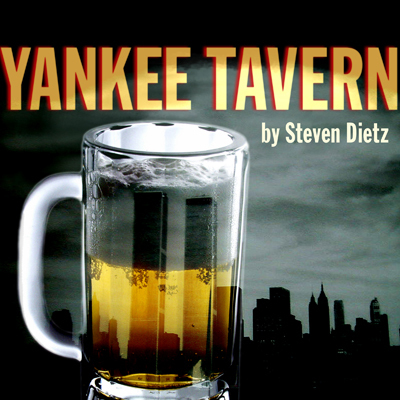 Yankee Tavern is made possible in part by funding by The Richard H. Driehaus Foundation, the John D. and Catherine T. MacArthur Foundation, The Shubert Foundation, Actors’ Equity Foundation, Eurex, Arts Work Fund, Illinois Arts Council, The Saints and the Chip Pringle Fund. ComEd is the official lighting season sponsor.